So I was browsing Youtube today, and I noticed a new Lil Wayne video was posted. 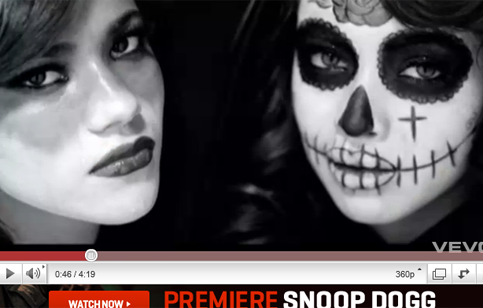 I checked it out, and it turns out that there was a lot of creative makeup artistry involved with the video hoes, hah. Anyways I took some screenshots, but check out the full video here. Beautiful smokey eyes with a teal shade on the waterline. Love the eyes and the orange lips here. Orange lips seem to be the main thing here for repitition!